my playpen :: anti-self cannibalization :: it is my tendency to jump in the deep end to see if I can explore this realm while learning to efficiently navigate a pool and a swim/floating method I haven’t previously used. Things I have been thinking about while pondering if there is a resilience and realization function in the act of writing for the visual artist. (1) gender/power/representation differences in the language of visual artists. (2) transgenre behaviors, creative dispositions and capacities to push against social conventions. 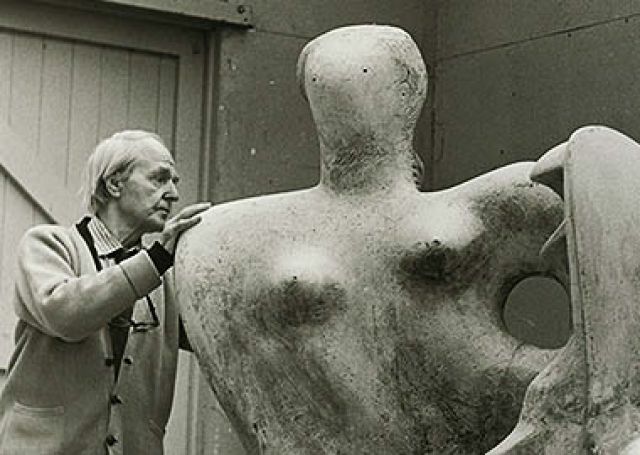 The artist and the body, perception, embodied/situated/extended cognition. This brings me back to social positioning–visually, bodily, linguistic. Is there anything we do when somehow entering social space that does not involve social positioning? 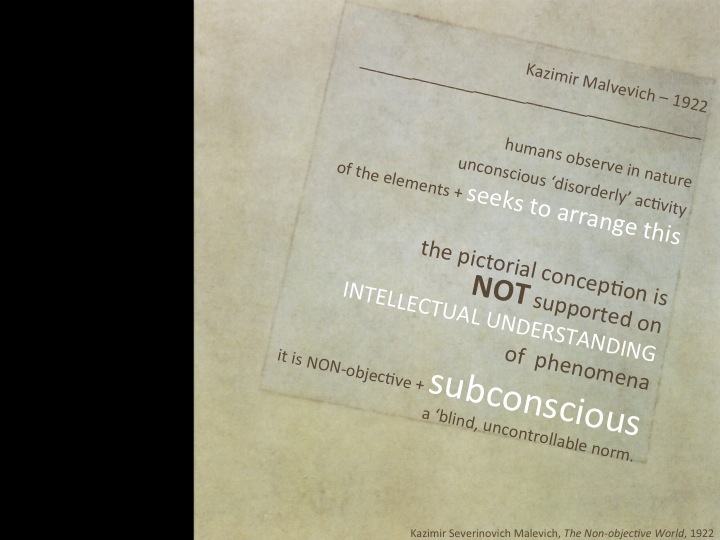 (3) the artist–perception + cognition. not just with social status positioning, but we position to minimize the overwhelming field of possibilities and realities in order to fashion some kind of comprehension which in turns allows us to navigate our physical (social, mental, spiritual, objects, language, encounters, histories, memories) world. And now I am beginning to extend discovering the various social science research qualitative and quantitate methodologies and tools. In each arena I only now have enough understanding to get myself into trouble via false or already overworked assumptions, but sometimes mashing things together without full domain understanding can lead one to stumble on an alternate perspective, new approach, etc, besides just the risk of appearing an arrogant domain neophyte or polishing wheels that already exist. What do visual artists write? Is there a vocational, social and cognitive resilience function? Is there a function for realization of work? Based on initial patterns that emerged in a quantitative study using LIWC2007 and DICTION7 involving insistence and certainty linguistically expressed in artists writings, I am curious to look more deeply at these variables. I believe a huge portion of creative activity is reactionary. By this I mean that somehow a particular developmental adversity, situational chaffing, unsettles, resonates or enlivens the artist enough to engage a form of appraisal, judgment or questioning, that is then expressed in artistic production in ways that address, call attention to, resolve, act against, or support the artist’s viewpoint or experience. Linguistic insistence and certainty expressed in writing would also appear to be behaviors in which appraisal/judgment is expressed, a stance is taken. Because most art is reactionary, a form of stance taking, and is what captivates the mind and energy of an artist, I expect stance taking to also be statistically evident in their writings. I have a hunch, a hypothesis, that a writing practice somehow plays some kind of psychological resilience function for visual artists relative to their making practice. 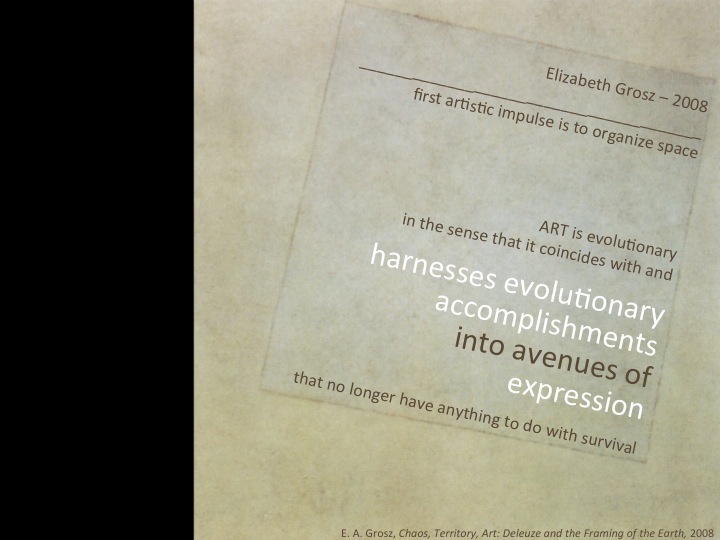 I associate resilience with the capacity to realize and sustain an artistic/creative practice through one’s life span. If resilience is somehow strengthened by the act of writing, is there a form of writing that is more beneficial? If so what forms are the most supportive? 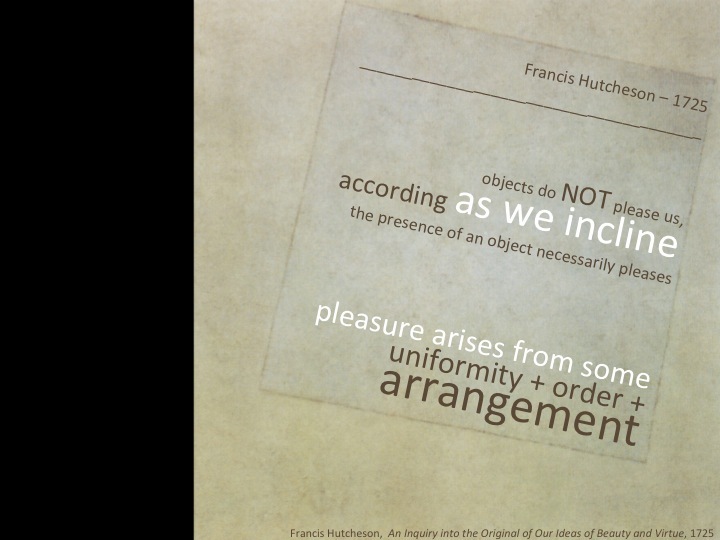 A secondary hunch is that the act of writing, much as analytic memos in research coding, functions to deepen through insight the content development and making processes that are central to the artists practice. So as I hunt for patterns of similarity in artists’ writings that might shed light on the possibilities that writing for this visual artist has a psychological function that assists them in realizing and sustaining their art practice, semantics is one field in which to evaluate sample texts. If I am correct that there is an important function of writing for the visual artist and if there are particular forms that are more useful, this has important pedagogical implications in how the academy prepares artists for a life of making. The linguistic variables of certainty and insistences have already shown up in my previous study with LIWC and DICTION as notable. Will the writings also express strong sentiment or will they be emotionally neutral? Will there be correlations of linguistic cues of sentiment, specifically positive, negative or neutral with certainty and insistence? 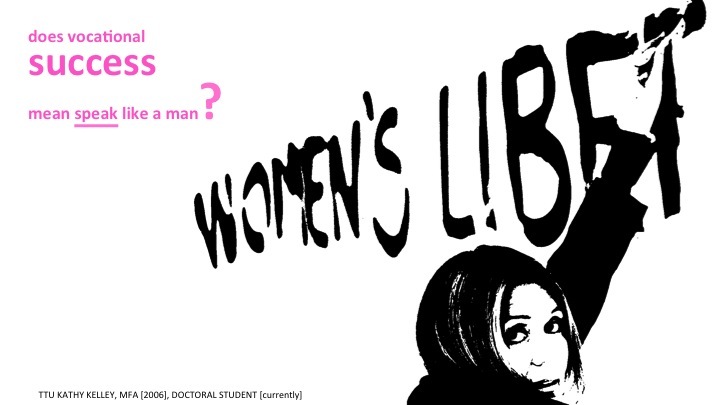 And as always in my work as an ongoing curiosity, are their notable gender differences? A visual stance (art making) involves a bodily response to materials and space; a cognitive stance is expressed through linguistic space internally or externally. Will these be mirrored in artifacts and text emerging from a single author/maker? 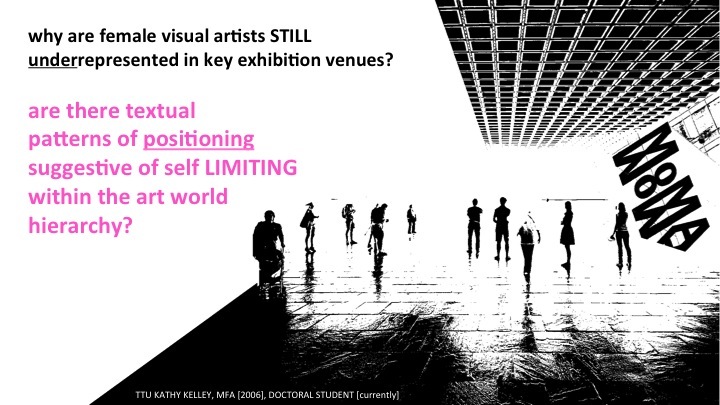 Will this mirroring be evident in most visual artists’ writings? My initial gut response is that visual artists’ writings will bear strong sentiment, positive or negative, with very little content in the neutral zone. I also expect from artists working in the last sixty years, since conceptual art became prevalent, that much of the sentiment will be negative. Most artistic production arises from reactionary resistance against some cultural practice, personal adversity or x. Though historically and philosophically beauty plays a role in art, it does not play a strong role in contemporary avant-garde art for the past one hundred years. Art and the artist function as a cultural barometer more so than producers of beauty. These hypothesis, hunches, mental maulings and assumptions suggest that I might approach the artists’ texts via systems that test for sentiment and/or conflict (versus coding). Additionally it seems relevant to begin establishing a system for attribute coding (as suggested in Saldana’s text) which may reveal similarities and differences in artists texts that correlate with gender, primary medium, career stage, education, age, ethnicity, orientation, affluence, etc. Specifically what comes to mind is that fact that when I am uncertain, I may be more emotionally reactive or frustrated, and when I am more certain, I emotionally relax. So I see at least two outcomes that would counter my aforementioned hypotheses. One, there is the possibility that I will see the exact opposite results than my initial hypotheses in that artists who express linguistic certainty and insistence will display minimal, neutral, evaluative emotion. Two, that a positive or negative sentimentality will be more related to essays strong in insistences and neutrality with texts that showed a strong sense of certainty. Of course, much of this may already be answered and apparent in a literature review, which I have begun, but my toes are just dipping for a temperature check before I plunge in. Theories and Documents of Contemporary Art: A Sourcebook of Artists’ Writings (2012) edited by Dr. Kristine Stiles and Peter Selz, 2nd edition. Art in Theory 1900 – 2000: An Anthology of Changing Ideas (2002) edited by Charles Harrison, Paul J. Wood. Limited to artists living in the last seventy years with an attempt to harvest equal amounts from each decade. Both male and female samples will be harvested an attempt to harvest equally quantities of texts for both male and female artists (regardless of orientation). No more than three samples will be harvested per artist. Samples may be in the form of letters, manifestos, artist statements, published essays and book excerpts. Samples will be between 100 words and 3,000. In all probability samples will have been edited by a secondary source (currently this is unavoidable; eventually if I find significant implications in the texts, I would hope this would justify access to original artist documents, unedited by others). Writing samples accessible online. I am lazy, high rates of data entry are not my strong point, dyslexia will inherently be embedded in every artists text and thus will produce faulty patterns if I type them and this is a ten week course. 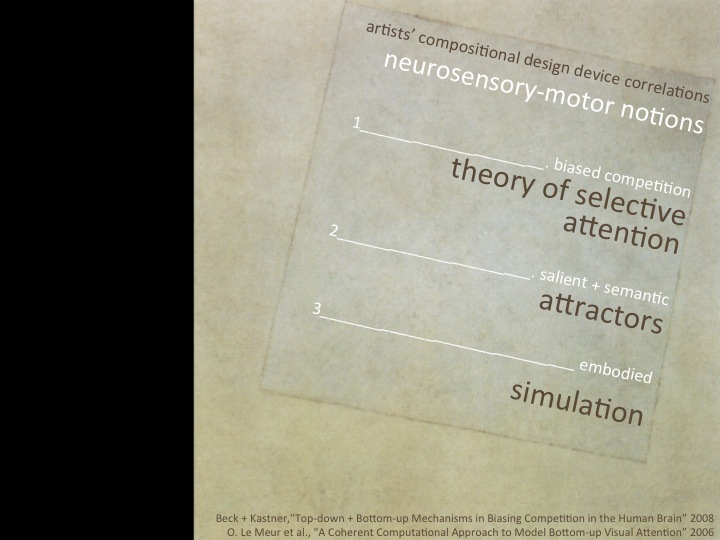 Concept Extraction – semantics and affect. Semantics, in addition to positive/negative/neutral appraisal, I am interested in But along with the evaluator judgment, I will be watching for traces of potency (powerful/unpowerful), proximity of sentiment (near/far), specificity (clear/vague), intensifiers (more/less). From Saldana, not all useable but of great interest, Versus Coding, Value Coding, Emotion Coding, Dramatalogical Coding and Narrative Coding. Focus each on single program feature. Show relevance of software chosen to my research direction. 157 text files collected. DONE. Read more on semantic analysis and concept extraction. Read more on linguistic certainty, insistences, and appraisal. Explore visualization of output (versus just freaking numbers) in general looking for overwhelming similarities and anomalies that manifest across the corpus. Explore the visualization of output in regards to certainty, insistence and semantics. Again looking for similarities and anomalies that manifest across the corpus. Correlate initial readings of positive/negative/neutral sentiment scores with the initial readings output from DICTION7 around the variables of certainty and insistence. Merge previous findings and semantic findings into cohesive paper for October presentation at Art Practice/Art as Research Conference. EXAMINE :: Based on initial patterns that emerged in a quantitative study using LIWC2007 and DICTION7 involving insistence and certainty linguistically expressed in artists writings, I am curious to look more deeply at into these variables. One area worth examining is through text analysis is sentiment. I correlate insistence and certainty with a measurable degree of sentiment. Additionally I associate the lack of insistence and uncertainty as an expression of questioning that might register as neutral when measuring for sentimentality (positive, negative and neutral). I believe the artists’ texts that registered in the LIWC/DICTION analysis above the norms on the variables of certainty and insistence will show positive or negative sentimentality and those that registered below the norms as predominately neutral. And I have a hunch that visual artists’ writings will also be more strongly linked to negative sentimentality than positive. [MEMO TO SELF] Though, I have been wrong one or two times before. Specifically what comes to mind is that fact that when I am uncertain, I may be more emotionally reactive or frustrated, and when I am more certain, I emotionally relax. So I see at least two outcome possibilities that would counter my aforementioned hypotheses. One, there is the possibility that I will see the exact opposite results than my initial hypotheses in that artists who express linguistic certainty and insistence will display minimal, neutral, evaluative emotion. Two, that a positive or negative sentimentality will be more related to essays strong in insistences and neutrality with texts that showed a strong sense of certainty. GRANULARITY :: WORD/SENTENCE Measuring sentimentality takes place at the word/sentence level, but I am interested in patterns that emerge relative to sentimentality across a broad population of artists’ writings and then correlating that with previous results relative to insistence and certainty. FOCUS :: DOCUMENT CLASSIFICATION by the identification of positive, negative or neutral sentimentality in artist generated texts. This also appears to fall under a form of information/concept extraction. AVAILABLE INFORMATION :: There are readily available unstructured artists’ writings both online and via anthologies put together by art historians and critics. I have harvested writing samples of English speaking visual artists from Theories and Documents of Contemporary Art: A Sourcebook of Artists’ Writings (2012) edited by Dr. Kristine Stiles and Peter Selz, 2nd edition. SYNTAX OR SEMANTICS :: This study will be translating words relative affective meaning (positive, negative, neutral), so it falls into semantic methodologies. WEB OR TRADITONAL TEXT :: Though some of the writings have been harvested from via the internet, they are categorically traditional texts ranging from letters, manifestos, artist statements, book excerpts, essays to critical reviews. SEVEN OF NINE SEVEN :: CONCEPT EXTRACTION specifically sentiment in terms of positive, negative and neutrality. But along with the evaluator judgment, I will be watching for traces of potency (powerful/unpowerful), proximity of sentiment (near/far), specificity (clear/vague), intensifiers (more/less) (Automatic Sentiment Analysis in On-line Text, by Erik Boiy; Pieter Hens; Koen Deschacht; Marie-Francine Moens very useful in understanding dimensions of sentimentality.). Sure not all of this is a part of my summer plan, but I will make a dent in attribute coding (Saldana) and a full on fender bender with automated sentiment analysis. Ahh, the fuzzy overlapping boundaries of information extraction, natural language processing, machine learning, computation linguistics, statistics and text mining, I have a lot to learn. I really like the software package Semantria. Alas, it is $999—per month! Sigh. Q1—MY STATISTICAL RELATIONSHIP :: We haven’t been courting long. I can spell her name correctly, s-t-a-t-i-s-t-i-c-a-l. Her formulaic language, mathematical in nature, is something to which I have not been formally introduced; yet as artist my strength is seeing patterns and anomalies which seems to be at the heart of her. Patterns and anomalies are the basis of most art, whether it is ground in the visual, spatial, temporal, oral or social realms. So though I do not have the mathematics or the proper vocabulary to speak her language yet, I think I will quickly attune to her behavior and formal language. I do know how to rudimentarily use Excel, meaning I know how to plug in simple formulas, sort and average grades and such. QUANTITATIVE :: I began using LIWC, Linguistic Inquiry and Word Count (Dr James Pennebaker/psychologist, studies trauma and recovery and the influence of writing), and DICTION (Roderick Hart/political analysis), quantitative software, this past December. It has been self-trained, jump in with both feet to see if I can figure it out. DICTION in general is a little more dummy proof than LIWC. In terms of statistics, the lingo sort of lost me, but the patterns and anomalies in the numbers were evident. Additionally problems with rogue essays, entries that skewed all the numbers, because they were so anomalous, were one of the things that lead me to taking this course. How do I deal, throw out, adapt, dampen, the eccentric entries that affect otherwise strong trends? I recognize there were be statistical formulas to assist in dealing with this kind of stuff, but am not familiar as to where to turn. A statistics class I assume is in my near future. I also came to recognize that normative numbers are population dependent and have to be verified. For example DICTION’s normative numbers is based on fifty years of political speeches, journalism, and supreme court summations. Well that’s nice, but it is important to note that this population for the last fifty years has been predominantly male, therefore the normative numbers are based on a male population. This must be considered when using their numbers comparatively with one’s own population study, which may be female, male, or mixed. So language models generated from normative numbers are artificial constructs, population dependent, useful, but always suspect. QUALITATIVE :: I have not done any “qualitative” research in terms of social science models—ie ground theory and such. All is new. No quantitative/qualitative/statistical training under my belt yet. WordStat7 :: Free in terms of the one month demo, I would like to test run WordStat7 that works alongside QDA. Specifically I would like to explore how it works with a couple of the optional dictionaries [add ons]—LIWC, which focuses on function words [articles, pronouns, tense, etc] that hold content words into comprehensible content. I am also interested in the sentimental/value dictionaries. In each case, I am not attempting to analyze individual content of artists’ essays, but patterns that emerge intersubjectively. As I mentioned verbally in our introductions I am interested in the function writing might have for visual artists. Currently there is a pattern that a significant number of visual artists that are prolific in production, known in the artworld and sustain their making practice through their lifespan, also write. So I am interested in are their patterns that might be evident in large collections of their writings. James Pennebaker, the daddy of LIWC, was hunting for the relationship between writing and healing from traumatic events. This lead me to wonder if artists’ writing have some kind of psychological function in assisting with (?) resilence? LIWC aided by the system of WordStat7 looks as though it might aid in looking for psychological patterns across a large body of artist essays. LIWC by itself, is a tad challenging since it only spits out numbers.